My husband is a pancake maniac. This is not really a “problem” per se, but his obsession is starting to affect me. I used to be a salty, eggs-and-bacon kind of breakfast gal. I loved omeletes, eggs benedict, home fries and loads of breakfast meats. Now, though, I find myself craving his delicious and varied pancake offerings… Good old fashioned Aunt Jemima pancakes (a household staple), spicy orange ricotta pancakes, and now zesty and sweet Meyer Lemon and Ricotta Pancakes. This issue reached its zenith when I was big and pregnant and banned from eating sweets. I could eat as much savory breakfast as I craved… Problem was, I wanted pancakes. So, truth be told, I ate some. But in keeping with the doctor’s orders, I ate them without syrup. That’s right: Plain old pancakes, nothing doing. Just their sweet, pancake-y selves. Now, despite the fact that I am at last permitted to drown my pancakes in syrup, I find that I’m a pancake purist. I don’t need no stinkin’ syrup. Especially not for these Meyer Lemon and Ricotta Pancakes. They are sweet, citrus-y and delicious. The pancake itself is thick and hearty — not a wimpy, thin flapjack. When you fork through its fragrant, light exterior you might even catch a waft of lemony goodness. And the ricotta in the recipe adds a depth of flavor and richness that will make a pancake lover swoon. My husband suggests that you make these Meyer Lemon and Ricotta Pancakes for Easter breakfast. Good advice, of course. But frankly these ‘cakes are delicious any time and for any occassion… with or without syrup. While Easter morning could never compare with Christmas, I likely have almost as many fond childhood memories of it. Easter morning typically began with hunting the eggs made the day before, then a small gift, and finally brunch with my brother and mother. Typically, brunch was pancakes. It was those sort of family moments that began my love affair with pancakes at an early age. I love pancakes. They may be the perfect breakfast. 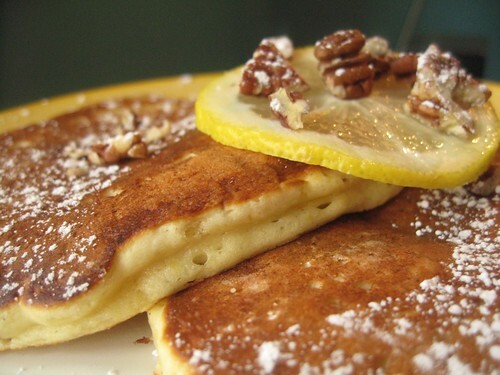 And these Meyer Lemon Ricotta Pancakes are certainly perfect for tomorrow morning. 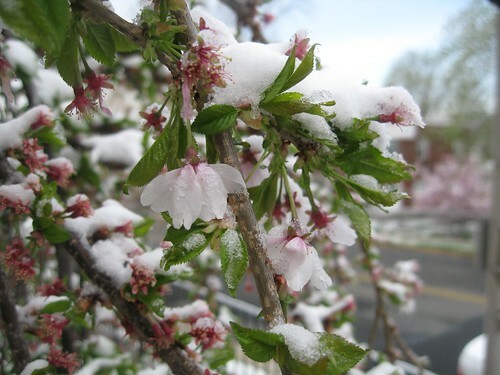 Here in DC at least, it has suddenly turned frigid and our beautiful flowering trees have been covered with snow. At times like these, a reminder of warmer weather is great. Meyer lemons provide that sense of season and a sweetness that is delicious — whether it’s sunshine or snow. The technique here is very simple. Like other quick breads (e.g. cupcakes or muffins), it’s about the wet and dry ingredients. 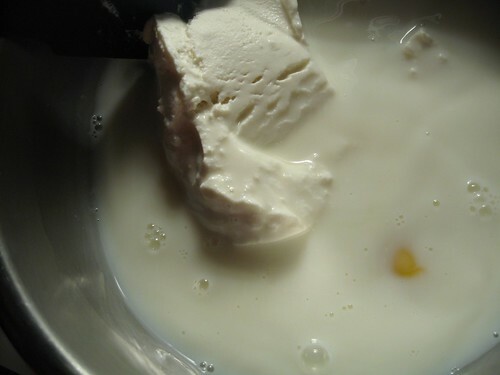 Combine the wet and dry ingredients separately and then mix them together right before cooking. Be careful not to overstir, as you are going for a light pancake. Making a smooth batter will result in thick, heavy, gluten-filled pancakes that will stick to your ribs and the pit of your stomach. So, be delicate. Finally, two admissions. 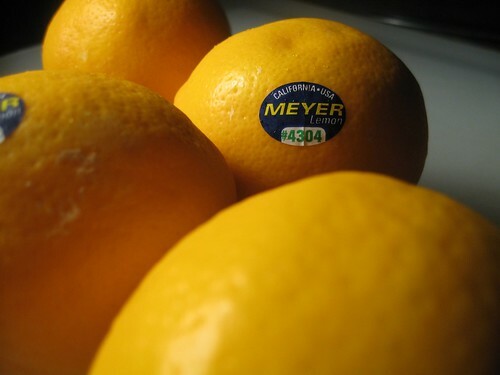 First, I have an obsession with meyer lemons. 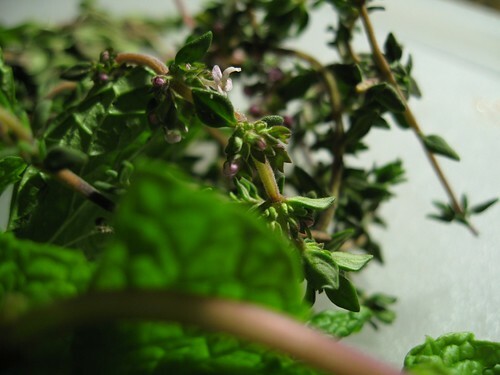 I’ve used them more than any single ingredient on this blog. In fact, I’ve gone so far as to try and convince everyone I know who lives in a subtropical area to plant a tree for me. There is something about their sweetness, fragrance and flavor that has made them an absolute favorite of mine. I’m not ashamed… I just think it was time to admit that my passion for this little fruit is a borderline obsession. Second, for long-time readers of the blog, you might recognize this recipe as a variation on another pancake recipe I posted last fall — Orange Ricotta Pancakes. That recipe is fantastic as well, but with its spices it speaks more to fall and winter flavors. But if that sounds more up your alley, try that recipe as well! Then we ate a little lamb… and tried to catch some zzs. So I’m not counting sheep… but that hasn’t stopped me from eating one. Er, sort of. A lamb is a sheep, right? (I’m too tired to look it up, so just go with me on this riff.) 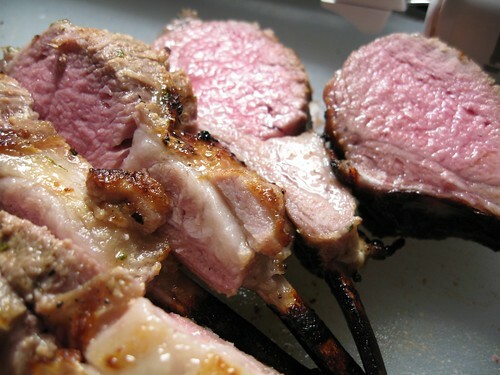 The point is: In between infrequent naps, I’ve been chowing on some lamb. 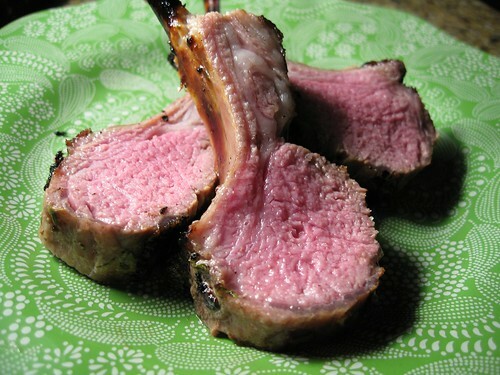 Generally speaking, I prefer my lamb in kabob or gyro form. But my husband, of course, has conspired once again to widen my horizons. 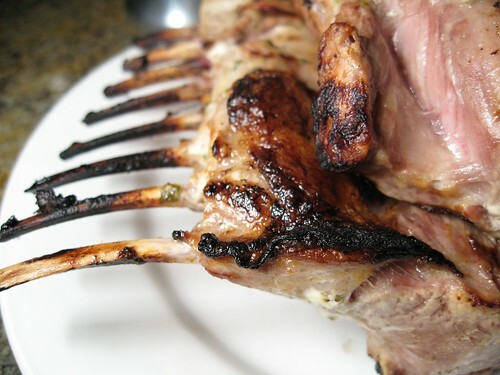 His lamb is succulent and delectable, and while flavorful, it isn’t buried in the spices that sometimes mask the lamb flavor in gyros or kabob dishes. And in this case, that’s a good thing. 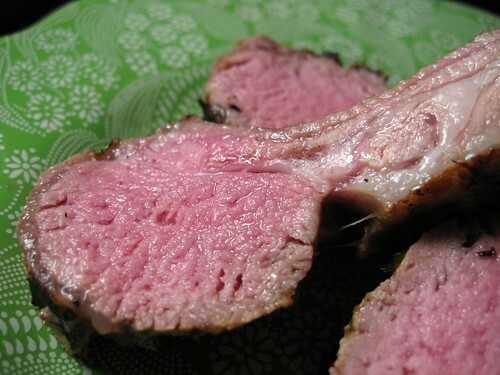 The lamb sustains its unique character, but takes on subtle seasoning from my husband’s yogurt marinade and a wonderful, smokey char from the grill. And now, at last, I can welcome my husband’s experimental cooking once again. That’s right: Many of the ol’ pregnancy dietary restrictions have been lifted! I’m back on sweets again. 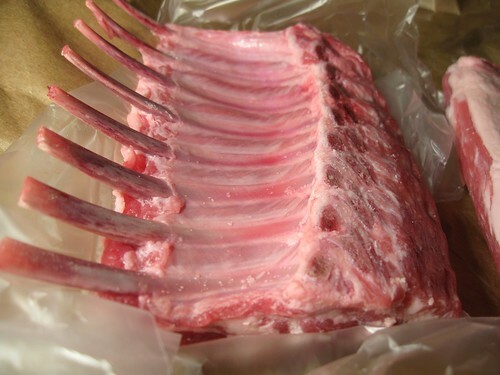 So, as much as I know you’ll enjoy this lamb dish, I think our dear readers should clamor for more sweets. Am I right? I’m right, aren’t I? 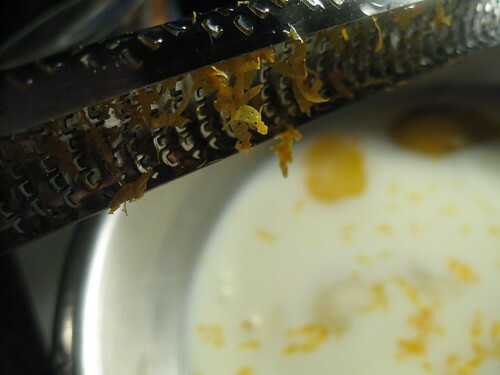 You are currently browsing the My husband cooks blog archives for April, 2007.